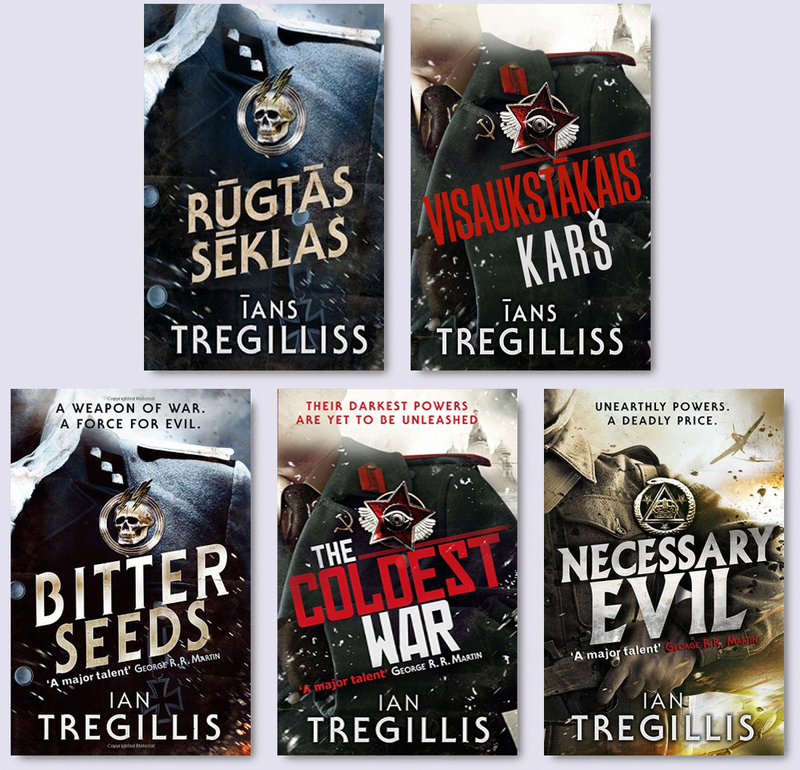 Cover Reveal: Latvian Edition of NECESSARY EVIL by Ian Tregillis | Zeno Agency Ltd. 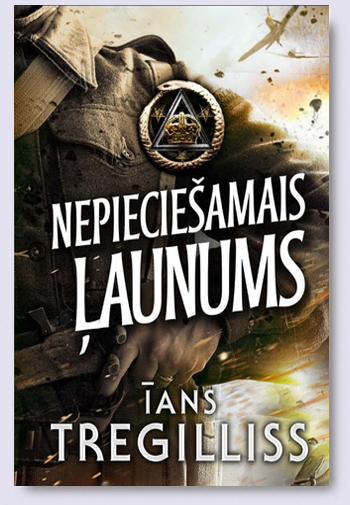 Above we have the Latvian edition of Ian Tregillis‘s critically-acclaimed NECESSARY EVIL. The third novel in the Milkweed Triptych, it is published in Latvia by Prometejs as NEPIECIEŠAMAIS ĻAUNUMS. Prometejs have also published the first two novels in the series: BITTER SEEDS and THE COLDEST WAR — as RŪGTĀS SĒKLAS and VUSAUKSTĀKAIS KARŠ, respectively. The history of the Twentieth Century has been shaped by a secret conflict between technology and magic. When a twisted Nazi scientist devised a way to imbue ordinary humans with supernatural abilities — to walk through walls, throw fire and see the future — his work became the prized possession of first the Third Reich, then the Soviet Army. Only Britain’s warlocks, and the dark magics they yield, have successfully countered the threat posed by these superhuman armies. But for decades, this conflict has been manipulated by Gretel, the mad seer. And now her long plan has come to fruition. And with it, a danger vastly greater than anything the world has known. Now British Intelligence officer Raybould Marsh must make a last-ditch effort to change the course of history — if his nation, and those he loves, are to survive. Zeno represents Ian Tregillis in the UK, Commonwealth and Translation, on behalf of Kay McCauley of Aurous, Inc.